Cami Sabin specializes in creating custom wedding cakes that are as delicious as they are beautiful. She grew up “helping” her grandmother make wedding cakes, and was in a cake-decorating club as a young girl. For the last eight years, Cami has been delivering cakes along the Wasatch Front. She is committed to helping clients express their personality through the cakes she makes for them. Currently, her favorite cake flavor is lemon with raspberry cream filling... Or maybe dark chocolate with salted caramel cheesecake filling. Cami dreams of being asked to do a cake for a destination wedding in the countryside of Spain or on a tropical island. Her interests include photography, sewing, writing, and planning her dream house – which will have a second kitchen and a master bedroom large enough for a king-sized bed. 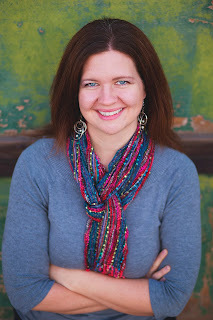 Cami lives in Ogden, Utah, with her husband and three children. They enjoy spending time together exploring the outdoors, camping, and traveling. They recently decided that a summer in Europe is in their future.